The iPod has become a niche product, almost a collector. In the era of Spotify and the playlists, few people still have a music library stored on their computer. Without it, Apple's media player lacks meaning and utility. That's why, in front of the rumors of the seventh generation of iPod touch, those of Cupertino must change their strategy. It seems that the shots lead to that they want to focus it like a portable video game console . Together with him , the fifth generation of the iPad mini is also expected , a device that had also fallen into oblivion. It is always advised to take this information with tweezers because they do not stop being that, rumors. But the first beta for developers of iOS 12.2 keeps revealing secrets, and among them are the names of new iPad and iPod touch. Yesterday it was learned that Apple had registered 7 new iPad models in Eurasia, but there was no trace of the new iPod touch 7 until several references of devices that did not correspond to the existing ones were discovered. It was the developer Steven Troughton-Smith, according to MacRumors , the person responsible for the discovery. He saw a device listed as iPod 9,1 that does not match any generation already presented, since the last iPod touch is 7.1. The most interesting thing is that it seems not to have Face ID or Touch ID. Regarding the iPad, those found in the code range from 11.1 to 11.4. Two of them would only have WiFi connection and the other two LTE / 4G connection . Troughton-Smith thinks that these models could make reference to iPad mini 5, which would be a basic device without Face ID so that it could be economical. 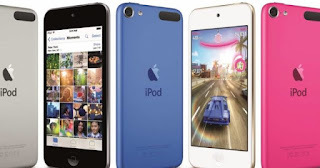 What would the seventh generation iPod touch look like? It is believed that Apple's new media player will be the device with which to attract customers who have never had a product of the company . Because of its good value for money it would be perfect to start in iOS and be able to try company services such as Apple Music, iCloud or its new streaming platform. However, it seems that it could also be focused as a video game console. In the App Store there is a large catalog of titles that, while not having the quality of the PlayStation or Xbox, are perfect for hanging out. It is unknown when it will be presented or if it will be put on sale directly in a silent way as it has been done in other occasions.